For Edmonton Landscaping Design, you’ve come to the right place. Let us share what you can expect with our consultation process. We will arrange a convenient day/time to meet with you, at which time we will provide you with an “Initial (free, no obligation) Landscape Design Consultation”. Prior to meeting with you, we will ask you to forward an (electronic) copy of your “RPR” (Real Property Report) to us. This document is important, as we import the (lot/structure) information and use it to obtain specific dimensions. For “larger” and more “complex” Landscaping Projects, we also utilize the information to create a “Conceptional Landscape Design Drawing”. Your lawyer would have conveyed the RPR to you when you originally closed on the purchase of your home, so it should be located in your closing documents. If you are unable to forward an electronic copy of the RPR to us, we ask that you provide us with a hard (paper) copy when we meet with you. During the “Initial Landscaping Consultation”, we start off by asking you to share any “Ideas” or specific “OutdoorSpace” requirements that you would like to see incorporated into the design. After we have obtained this information, we will then provide you with Ideas, Suggestions and Recommendations based on our Professional Experience, our understanding of your specific OutdoorSpace Lifestyle, plus any Lot Specific or Developer/Builder Architectural Guidelines that may need to be incorporated into the overall design. We will showcase examples of projects that we have completed in the past, as you may see a specific or unique design feature that you would like incorporated into your own landscape design. We will also showcase samples of the many different types of materials and products that are currently available or trending at this time. Given that we utilize a variety of suppliers from all across Canada, there are a diverse range of products and material styles to choose from. To help you in the selection process, we will provide you with product catalogues for all of the suppliers we work with. In addition to providing you with design ideas, these catalogues will assist you with the selection of certain types of materials such as Paving Stones, Retaining Walls and Fireplaces etc. Additional supplier or vendor information can be obtained by visiting our “Resources” page on our website. The link is located at the top of our Home Page. Once we have obtained a General Understanding of your landscaping “Wants and Needs”, we return to our office and prepare a “Formal Proposal”. If your project is “larger” or more “complex” in nature, we will also create a “Stage 1 – Conceptional Landscape Design Drawing”. 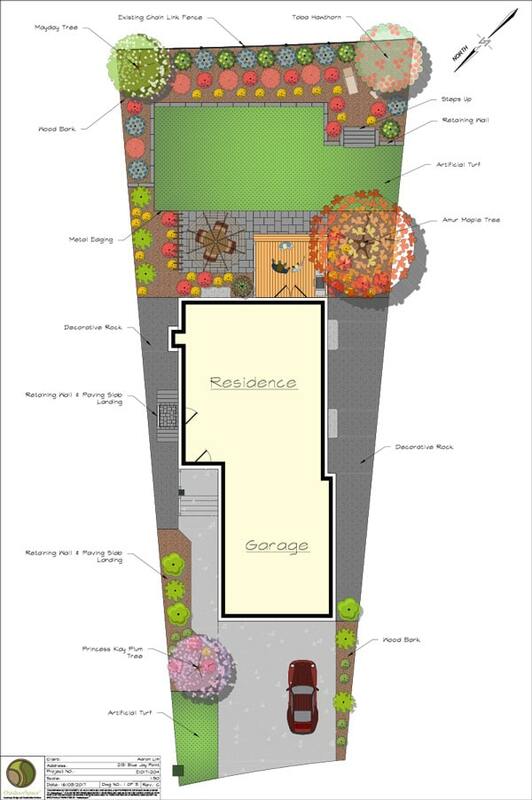 We utilize an “AutoCAD” based “Professional Landscape Design Program”, so all of our landscape design drawings are Scaled in accordance with your RPR and they are of “Professional Quality”. The Design Drawing and preparation of the Formal Proposal process typically takes between “1 to 2 Weeks” for us to complete, but the timeframe ultimately depends on the size and complexity of the project and the number of proposals that we may be working on at any given time. After the proposal has been prepared, we arrange to meet with you to review the Conceptional Landscape Design Drawing (if offered) and the Formal (written) Proposal. The Conceptional Landscape Design Drawing will be presented to you with the aid of an (iPad – Pro 2) Tablet. As a result, we have the ability to hook-up our Tablet to your Smart TV as this will further enhance the overall presentation. As a result of utilizing a Tablet for presentation purposes, we have the ability to zone in on specific areas and expand a particular area of interest, providing an improved visual experience. During this time, we will answer any questions that you may have and discuss any potential modifications that you would like to see incorporated into the overall design. After we have completed the Initial Landscaping Consultation, we will provide you with a hard copy of the Formal Proposal as there is plenty of detailed information to review and absorb. With respect to the “Stage 1 – Conceptional Landscape Design Drawing”. 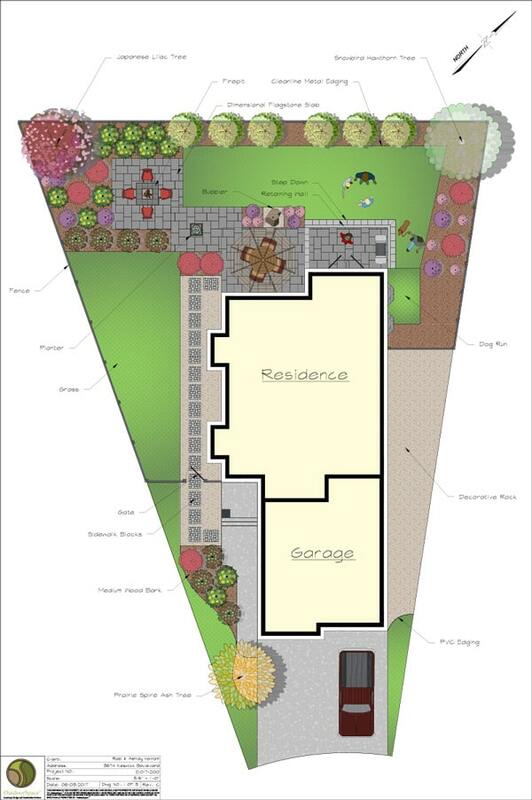 We do not leave you with a copy of the drawing unless you are ready to commit to utilizing OutdoorSpace as your “Landscaping Contractor of Choice”. With that said, we do appreciate and we are understanding of the fact that you may not be ready to provide OutdoorSpace with a “Formal Commitment” at this particular stage in the process. If you would like to receive a copy of the Design Drawing but you are not ready to provide us with a formal commitment, we are quite happy to release the Drawing to you for a small fee. Our fee for releasing the “Stage 1 – Conceptional Landscape Design Drawing” (without a formal commitment) is $475.00 (plus GST). If you elect to utilize OutdoorSpace as your Landscaping Contractor of Choice at a later date, we are happy to provide you with a full credit and will apply it to the Landscaping Contract. Please note: our formal (written) proposals are extremely detailed and packed full of (Construction Specific) information, as we believe in providing our clients with “Complete Transparency” and “Full Disclosure” with respect to everything that has been included in the Scope of Work. With this information in hand, you will be in a much better position to make “Educated” and more “Informed” decisions as you move through the process of evaluating our proposal and selecting your Contractor of Choice. This is vital, as we strongly believe our clients need to feel confident they are comparing “Apples to Apples” when evaluating (all) proposals, and we believe the only correct way to do that is for us to… “Put Everything in Writing”. Our proposals also include “Breakout Pricing” for (all) Major Landscaping Components and Features. Having access to this information will provide you with a better understanding of the incremental costs associated with each of the “Major” components and features that have been incorporated and factored into the overall design. The quoted price contained within our Proposals are NOT subject to change unless you make significant (addition or deletion) changes to the Scope of Work. As a result, you can have peace of mind knowing that the price we have quoted covers the “Entire Scope of Work”, and will remain “Fixed” and “Not Subject to Escalation” after you have awarded the project to us. Fact is Price Escalation is a common problem (in all industries) that many people face after they have chosen and awarded their project to a contractor. We like to refer to this problem as… “The Cheapest Price… is Not Always the Cheapest Price”. Should modifications and/or changes to the “Stage 1 – Conceptional Landscape Design Drawing” and detailed “Scope of Work” be required, we will return to our office and incorporate and quantify the requested changes. After these changes have been incorporated and quantified, we will make arrangements to present and review the (revised) proposal with you again. Please note: we do not charge for any modifications or changes to the “Stage 1 – Conceptional Landscape Design Drawing” as long as you are prepared to move forward and award the landscaping contract to OutdoorSpace. If you are still not in a position to, or comfortable providing a formal commitment at this time, but you have already paid for the Initial Design Drawing, we are happy to incorporate any and all modifications and changes for a small fee. The fee for this service is “$125.00 (plus GST) for the first drawing revision” and “$75.00 (plus GST) for each drawing revision thereafter”. When it comes to Edmonton Landscape Design, we are a company with great reviews that you can trust. We hope our explanation of the “Initial (free, no obligation) Landscaping Consultation Process” has been informative and has provided you with a better understanding of the value associated with our offer? Should you have any additional questions or require further clarifications, we ask that you please do not hesitate to contact us! We look forward to the opportunity of working together with you on your OutdoorSpace project! Do you need to revitalize your existing yard?